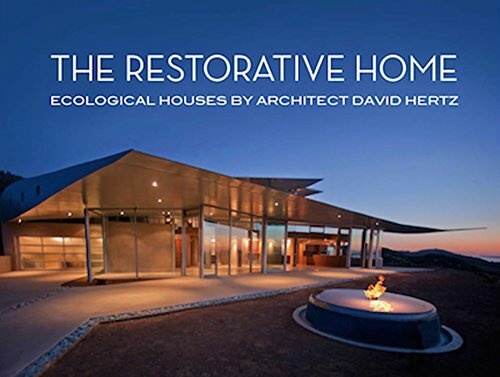 David Hertz was interviewed for a recent article in the current issue of US Builders Review about his work's focus on sustainability and environmentalism in architecture. Read the full article on the US Builders Review blog or scroll below. To an extent, we are all a product of our environment. Born and raised in Los Angeles, and now residing in Venice Beach, David Hertz, FAIA, LEED AP, founder and president of S.E.A. The Studio of Environmental Architecture (S.E.A. ), and skysource.org is very much a product of the out-of-the-box, unconventional environment that is L.A.
Hertz grew up in the birthplace of many west coast innovations. He spent his adolescence surfing and skateboarding with the first Dogtown skaters, free to roam, discover and create. From a young age Hertz was drawn to architecture and how the natural and built environments converge. His love for the beach and connection to the coast made him an environmentalist at heart and this has shaped his view of architecture. Located just a few hundred feet from the Venice Beach Boardwalk, his firm, S.E.A., has been a pioneer in repurposing and reusing materials in unique, appealing architectural design for more than 30 years. L.A. has undoubtedly shaped Hertz’ perspective in terms of green design and architecture and now it is the stage for the sustainable building community’s largest event — the Greenbuild International Conference & Expo. Hertz is a keynote speaker at the conference this year. We were lucky enough to chat with him and learn more about his L.A. roots and what has made him the architect and environmental thought leader he is today. 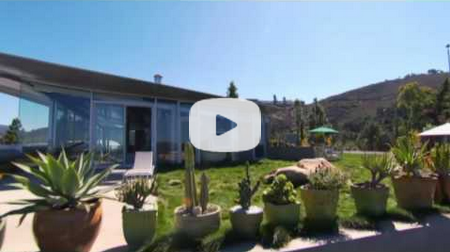 US Builders Review: What inspired you to focus on sustainable architecture? Was there a moment when it “clicked” for you? David Hertz: I grew up on the beach and found the ocean to be a really healing environment for me as a kid. I first was an environmentalist, always interested in design and building. At some point I had to rationalize my place in the world, being part of the built environment and how that works with being an environmentalist. That is how I knew I wanted to lessen the impact on the built environment on the natural one. I went to architectural school during the oil embargo of the ‘70s. I learned about our dependence on foreign oil at a formative time. I worked for the architect John Lautner, who was a student of Frank Lloyd Wright. I think this makes me part of that linage of organic architecture, which I have continued to pursue in a multidiscipline practice (S.E.A. ), including material development and an awareness of technology as seen in my work with Syndecrete and now, Skysource. USBR: You have completed many unique projects, but which projects are most proud of, which ones stand out the most? Hertz: Well the next project is always the one that’s most exciting… The 747 Wing House project has always stood out as an iconic project for me that is the most dramatic in terms of repurposing and radical reuse. The Wing House is located on one large piece of property, with several structures. There’s the Wing House itself and now we’re fabricating an art studio from a section of the fuselage, all using the components of a 747. In a lot of ways The Wing House is a culmination of my interests in looking at how we can use waste creatively and thinking about building in a different way. This project embodies reuse and repurposing that’s also really beautiful; this was the intent, to have people rethink the way we build buildings. USBR: How did you get the idea for Syndecrete? Hertz: I started developing Syndecrete in about ’83 –’84 when people were just starting to think about sustainable building products. I was interested in making a high recycled content, natural, nontoxic material as an alternative to what was out there, which was transported long distances or synthetic. It was basically a high volume fly-ash and advanced cement-based composite, using some of the 6 billion pounds of recycled carpet fiber that are landfilled each year as a reinforcement and natural pigments and different materials extracted from The Waste Stream for creative potential. I started looking at manufacturers’ off falls, for example I did a store for Patagonia in Tokyo that used garment pieces like buttons and zippers. We did a big project for Sony where we used their electronic components from the recycling yard. Some recycled products are melted down and they become a mixture you don’t really see, but in Syndecrete you could actually see these parts and recycled pieces in the material. It was a contemporary Terrazzo that used materials extracted from the Waste Stream and mined for its creative potential. USBR: Has your passion for surfing in some way fueled your passion for sustainable architecture? What things has the sport taught you that you apply to your work? Hertz: I started surfing when I was 8 years old and have been surfing ever since. Surfing puts you in tune with nature. It gave me an early fascination with water and the importance of water quality and our oceans. I’m also an avid sailor, paddle boarder — I’m an all-around waterman. I feel like this connects me to the natural world and I’m very aware of the direction of the wind, tides, the position of the sun, weather patterns, etc. It makes one hyper aware of your surroundings and this translates into my buildings and wanting to not be disconnected from the outdoors. I’ve been involved in the surfing world. I recently was honored to be selected to design the new trophy for the WSL the World Surfing League, incorporating the sand collected from the past 40 years of world champions. We actually cast the sand into the trophy; this is a perpetual trophy celebrating the past 40 years of professional surfing as well and representing the next 40 years of professional surfing. USBR: What is your greatest environmental concern? Hertz: Water — water quality and water quantity is becoming the single most important issue facing our survival. Having always been connected to the water, I have always been aware of the health of the oceans, but becoming more aware of the limits to fresh water has become an obsession. Now in California we’re in a perpetual drought. We import water from long distances at great energy costs, over 19 percent of California’s energy in fact and water quality continues to go down, so I think this is the single biggest issue of our time. Without question, my focus has been on water and some of the new water technologies I’ve been working on. I’ve been interested in restorative, regenerative architecture, which gives back more than it takes and now this water technology is a step toward that. Stormwater is a very intermittent, unreliable source and it’s too hard to capture or store and it’s not potable or drinkable. Although we need to collect as much as possible, we also need as many alternatives to water collection, one of the most remarkable technologies I’ve found is the technology of atmospheric water generation (AWG). All over the world, especially at the coast, there is a lot of water sequestered in the air. That’s basically what relative humidity is. We’ve been working on this Skywater patented technology to use solar energy to condense water from the air and we currently make up to 150 gallons of fresh potable water a day at S.E.A. We don’t need this much water, so we’re donating the fresh drinking water to the community. We put in a bottle filling station in the alley way, where there is a lot of homelessness and where there isn’t a lot of access to fresh water. Anyone can come and fill up. We also donate thousands of gallons of water to The Community Healing Gardens which has over 80 urban farm boxes in Venice. We also work with SPY-Safe Place for Youth; they help give job opportunities to homeless youth. We employ two people full-time who pick up the water and water the plants. It’s about systems thinking; something that makes sense for the environment and the community. It’s a full cycle and a model we hope to take with this technology all over the world. We have a program going in Haiti and one in Kenya, where we are working to help areas with poor water quality and food deserts. This really is my new passion project that is far reaching. It can be used worldwide to change the lives of a lot of people and we are very excited about this passion project. USBR: How would you summarize your Greenbuild 2016 talk in just a few sentences? Hertz: I will be presenting at both the Waterbuild Summit and Greenbuild a presentation entitledG04 – Out of Thin Air – Making Water from the Atmosphere. Water and atmospheric water generation is really the main focus of the talk. I’m going to talk about the origins of atmospheric water generation, dating back thousands of years and other forms of completely passive water collection. And I’ll be talking about the global, regional and local issues effecting water and the water crisis in terms of scarcity and water quality. I’ll be talking about this state-of-the- art water technology and how it works, the economics and the opportunities and barriers to entry. USBR: Tell us about your background with Greenbuild. How did you get involved? Hertz: I was part of the American Institute of Architect’s (AIA) first Committee on the Environment, (COTE) which came up with the concept for LEED and then the U.S. Green Building Council (USGBC) was formed out of this. I was at the first Greenbuild and I was there at the forefront of the creation of this community. Syndecrete was part of the first LEED Platinum commercial building in the country and it was also involved in the first LEED Platinum residential project in the County. USBR: What stands out about your firm, S.E.A.? Hertz: When it was completed, our office was one of the highest rated LEED buildings at the time (67 out 69 points). First of all we have no parking at the office — you have to bike or walk. We generate all of our own electricity and we use natural ventilation to cool the building. We have LED lighting and all state-of-the-art systems in terms of mechanical, electrical and plumbing. We generate more water and energy than we consume, so technically we’re beyond Net Zero, S.E.A. is Net Positive. I think we’ve really positioned ourselves as pioneers in what we do. We’ve been at the forefront of sustainability and we’re steadfast in our dedication to sustainability and the social importance of architecture, even during periods when it wasn’t as fashionable as it is now. We are moving beyond sustainability to a restorative and regenerative architecture that gives back, more than it takes.